The Cape welcomes you. Sit back and relax in this spacious home with spectacular ocean views. This four season home offers warmth and comfort and lots of moving space. Walk out on the expansive deck and enjoy the ocean breeze. The spectacular ocean view has two lighthouses and many islands. Many vessels pass by the cove on their way up the Kennebec River-lobster boats steam out each morning. 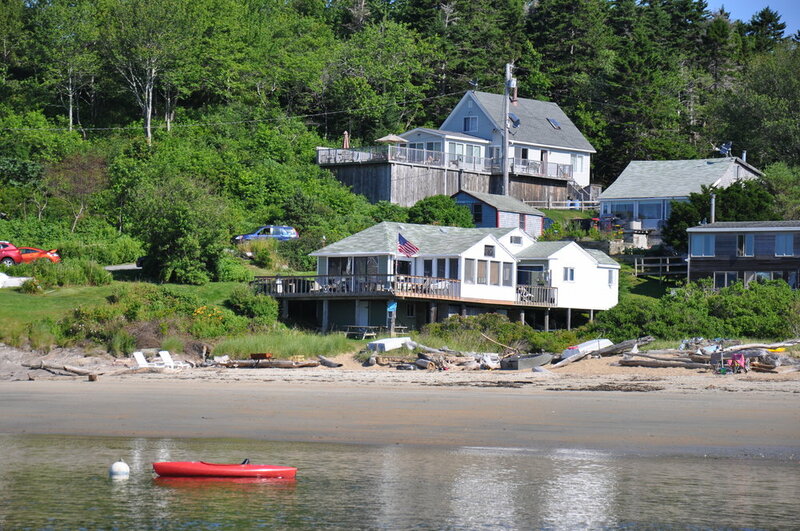 The house is nestled on a hill and about 150' from the sandy beach. A protected swimming cove with ample beach combing at low tide. The south facing beach is spectacular for bird watching and other wildlife sightings. Seals emerge regularly, osprey, terns, seagulls and glorious eagles hover above waiting to dive for fish. A superb and private fishing location. The cove offers fishing opportunity for mackerel and striped bass right off the beach or rocky point. The Cape offers an open kitchen, dining room, family room, four bedrooms and 1 1/2 baths. There are 2 bedrooms on the first floor, one full bed and a 2nd bedroom with 2 twin beds. The 2nd floor has a master queen bedroom and a 4th bedroom with 2 twin beds. First floor full bath with tub/shower. A 1/2 bath on the 2nd floor. All bedrooms have ample closet space and dressers. The home has large expansive windows and the expansive deck offers multiple seating areas perfect for dining and lounging. The home is technology friendly with WIFI, DIRECTV and a landline. "...a wonderful hidden treasure. My family (and dog!) immediately feel at home in this spacious and cozy seaside cottage. 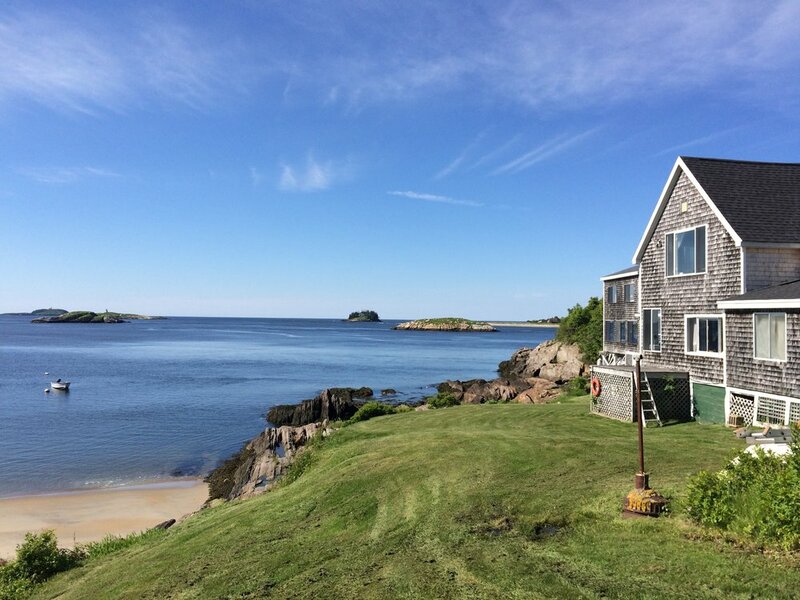 The views from the deck are breathtaking, and quintessential Maine -- islands, lighthouses, lobster boats, and the wide open, deep blue Atlantic. The sound of the waves lapping on the beach greet me in the morning, and lull me to sleep at night. My husband & I love it so much here that we increased our stays from one week to two! ..."
"You can't find a better view anywhere! Beautiful place to stay inside and out... It's the perfect place to get away from it all and just enjoy the peace of the surroundings. It's great to be lulled to sleep by the sounds of the ocean! Great sandy beach! We will definitely go back."